Rose Oud is very soothing for the heart. Especially when you are suffering from heartache or confronted with difficult emotional situations in your life and want some elevation of stress/anxiety in a soft and gentle way. Interestingly Patricia de Nicolaï made Rose Oud as a powerful very rich deep fragrance (see video) But Rose Oud wears very close to my skin. It is more the light stroke of a rose. Caresse in French. Caresse de Rose would have been a better title for the fragrance. I can only scent Rose Oud when I smell my wrist very closely, at less than 5 cm. Which is a pity but I reapply several times during the day. Longevity is not very good either. Very powerful rose perfumes on my skin are Guerlain Nahema edp and Maria Candida Gentile Cinabre. 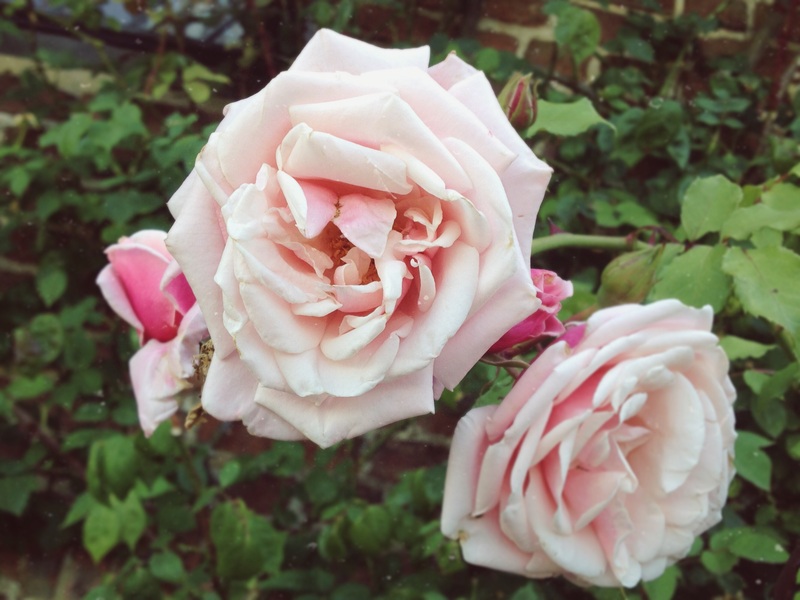 Although I love rose fragrances I find it hard to find rose perfumes I wear regularly. They can either be too the linear like Jo Malone Red Roses, too uplifting like the spicy Amouage Epic or Majda Bekkali Mon Nom Est Rouge or too activating like Maria Candida Gentile Cinabre. I have found Rose Oud to be very appealing and wore it quite often last summer. Of all my rose fragrances, this is the one I used most. Rose Oud could give an uncomplicated impression at first sniff. But I find it an interesting modern, elegant, radiant and subtle fragrance. You can wear it when you do not want others to smell your fragrance for example at your office or for a job interview. Personally I do not scent any oud in Rose Oud but some other male bloggers (Chemist in a Bottle and Geurengoeroe) say they do. At the beginning I get a fruity peach note probably due to the osmanthus. At the same time I get a lot of aldehydes the first few minutes adding lightness and brilliance. The aldehydes are not used in a retro vintage style like Antoine Lie in Rien Intense but in a more modern 21th century way. What remains afterwards is an oily fragrance according to Perfume Shrine due to Nargamotha/Cypriol*. I get a sweet raspberry/rose note as well which is very similar to the Oliver and Co Santalum scented candle. Rose Oud is very soothing for the heart. Especially when you are suffering from heartache or confronted with difficult emotional situations in your life and want some elevation of stress or anxiety in a soft and gentle way. I used it a lot when my mother was in the hospital last summer. Part of this soothing effect could be a result of the usage of cypriol or to the calming effect of the rose. Which image do I get ? 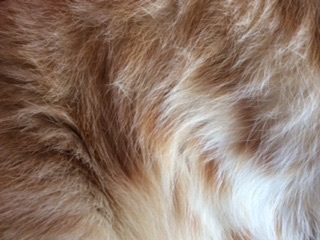 I get the image of the fur of my cat, Rubio as caressing him has a similar calming effect on me as wearing Rose Oud. Origin of bottle: my own, Nicolaï is sold in The Netherlands by The Perfume Lounge and Parfumaria, both sell samples. * Nagarmotha/Cypriol is a plant of the Cyperaceae family belonging to the papyrus family. Cypriol essential oil is harvested through steam distillation. Lotus Garden Botanicals states on its website that its fragrance has similarities with vetiver and oud. The essential oil is used in aromatherapy and is said to have an emotionally calming effect. According to an article of Swiss perfumer Andy Tauer most of the oud in perfumes are bases often made with Cypriol. I should live to try it the way you describe it, only I fear the poor longevity would be a down side for me too. I like the sound of this, especially the soothing part. The perfume that soothes my mind (and therefore my heart) is Timbuktu by L’Artisan Parfumeur. It just works. Yes you are, Ines 🙂 Interesting, I must try Timbuktu again. What makes it so soothing do you think ? for me it was Eau Sauvage. When you apply Eau Sauvage, it also feels cool on the body. I am in the US and subscribed already. Intriguing, Fazal. I would never have thought Eau Sauvage could be soothing due to THE citrus. Interesting how different we all experience fragrances. Sounds lovely! To tell the truth, I’m not a big fan of oud fragrances. Bad memories from the time when I was living in the Middle East. But this one doesn’t sound too oud-y. 🙂 I’m still looking for my rose fragrance too. Currently, the fragrance soothes me is Tea For Two. Nice and cozy. Rose Oud is lovely and not too oud-y at all, I would say no-oud 😉 Tea for two sounds cozy if only for iTS name ! Again a lovely review:-) As you know I like reading your reviews very much. The fact that wearing Rose Oud reminds you of Rubio is so cute! Do not enter me: I have a sample of this perfume and it doesn’t work for me (like most rose-oud combinations) but I’m glad it is relaxing for you. Usually I do not use perfumes for that purpose but when I want something uncomplicated I go for one of Jo Malone’s colognes. Thank you, Undina. It is Rubio not Rusty 😉 I can imagine a less complicated fragrance might work for you as well. Too bad, Nicolai Rose does not work for you.